ComfortFan™ technology allows fan-speed choices in Constant ON mode. 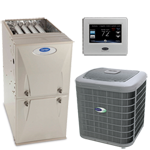 Year-round humidity management when installed as part of complete Performance system with humidifier. Can help boost cooling SEER efficiency when matched with appropriate cooling system components. 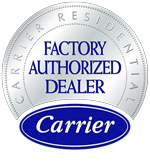 Recommended controls: Performance™ Edge® relative humidity or ComfortZoneTM II thermostats. Brennan Heating & AC, Inc.